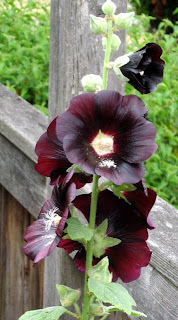 Although black is in no danger of becoming the new green in garden design, black flowers and foliage hold a perennial fascination for gardeners worldwide. 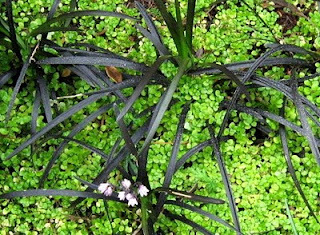 Of course, true black doesn't really exist in the plant world. 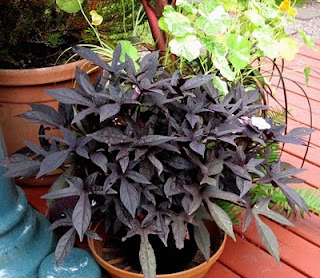 So-called black plants are typically Just such a dark purple that they appear black in all but brightest light. Still, they are rare and sought after for their beauty and novelty. Just as black works with most anything in your wardrobe, black combines with colors in the garden to add drama and elegance. 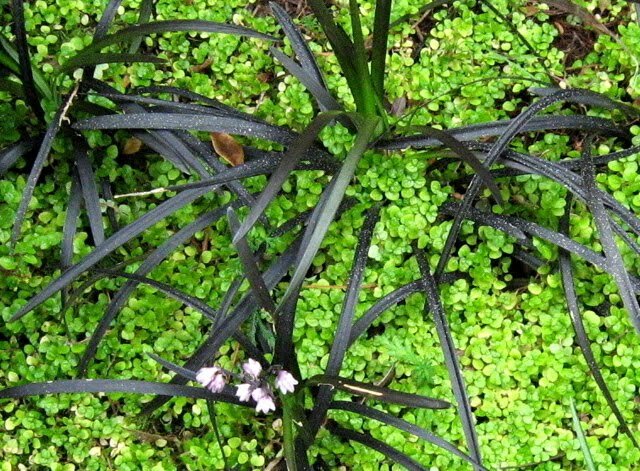 Here you see the contrast between black mondo grass (Ophiopogon planiscapus 'Nigrescens') and the ground cover, Baby's tears (Soleirolia soleirolii). Sweet Potato vine 'Blackie', an annual, works well in containers and as an edging for perennial borders. Black hollyhocks offer a dramatic twist on a classic, old-fashioned flower. Plant them at the back of the border for mid-summer display. Let them go to seed and you will have more of them to enjoy in years to come. Speaking of drama, just look at these leaves! This striking, purple-black, leaf veination belongs to a Rex begonia, a good choice to brighten up a shady area. Plant lovers are always on the lookout for new varieties of unusual plants. A new introduction in the black plant category is Ceanothus 'Tuxedo', which was discovered by Pat Fitzgerald of Fitzgerald Nurseries in Ireland. 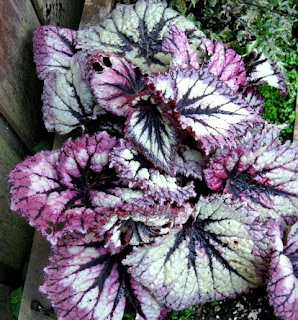 For more photos and information about this plant in a northwest garden, here's this post from Westsound Gardener.